Earlier this month the Church of Zymurology made a long overdue pilgrimage to the land of beer and cheese to attend the Great Taste of the Midwest. It was a last minute decision that required buying tickets on Craigslist instead of the normal route that normally entails sending in a check and a self addressed stamped envelope postmarked on a specific date in order to be entered into a drawing for tickets. With such restrictions in place I assumed attendance might be quite limited, but that was only one of several misconceptions. Our journey started with a short trip to Chicago to see friends and visit a couple of breweries including Goose Island and Three Floyds (in Munster Indiana about a 45 minute drive South). Be forewarned Chicago is a sprawling metropolis with an inordinate number of toll roads and it takes a long time to get anywhere. Goose Island beers were solid and the Three Floyds offerings were great, although the tasting room was loud and cramped. We made it by a few other places including the Map Room, which was one of my favorite stops when I visited roughly 10 years ago (just remember they only accept cash). We left Chicago for Madison and were soon motoring down more tollroads as the countryside changed to rolling hills upon entering Wisconsin. Madison seems like a great town reminiscent of Austin with both a capitol and a thriving university which contributes to the bohemian atmosphere. One day was dedicated to a roadtrip that included a visit to New Glarus as well as the Grumpy Troll brewpub. A large number of establishments hold pre-parties ahead of The Great Taste on Saturday which can be found online, although some can be very crowded. 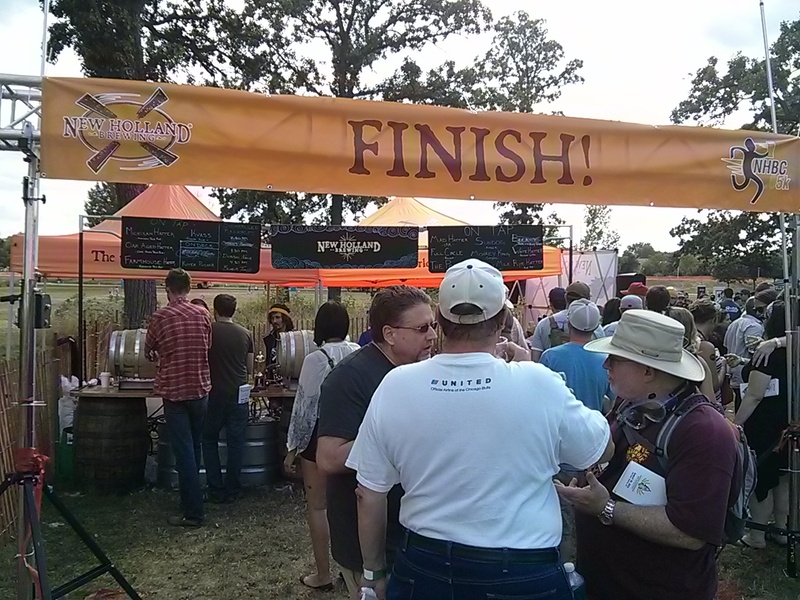 We were able to run by a few that showcased limited edition beers or tap take-overs. Almost every venue with food served fried cheese curds which became an unhealthy staple during our visit. 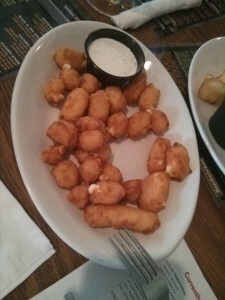 My partaking of cheese curds and beer became a love-hate relationship. 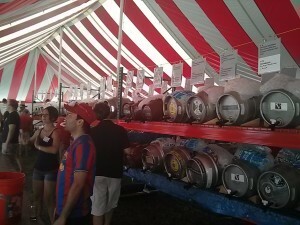 The Great Taste of the Midwest is held from noon to 5pm on a Saturday. People staying close can walk, others ride public transportation or catch one of the free shuttles leaving from various brewpubs and bars, although please note that there is usually only one bus servicing each route and some people waited an hour or more to catch a ride after standing in line. We were lucky in having to wait roughly 30 minutes but there was a long line behind us and considering you are limited to 5 hours of tasting missing out on a full hour is considerable after coming so far. If we go again we will hail a taxi or perhaps drive then hail a taxi back to the hotel. Upon arrival there are wandering volunteers with wristbands dispersed in a field that check IDs and take tickets. This was the most streamlined and effective method of dealing with entrants I have seen. With wristbands on everyone funnels through an entrance where another set of volunteers hands out a glass and checks for your wristband – I hope others consider doing something similar for large events as it was very effective. The wonderful thing about the event once entering was the number of local Midwest breweries unknown to those not of the region. Most brought their mostunique creations for the festival and pours were unlimited, the only problem being sometime pours greatly exceeded the 2 oz mark and a lot of beer was dumped. The location right on the lake with views of the capital was spectacular. There was an entire tent filled with cask offerings, although the scene around it was somewhat unsettling as a pushy mob soon developed. Other booths with long lines managed them somewhat better, although a few such as Bell’s also seemed to be a little disorganized. As alluded to earlier, attendance restrictions led me to believe it would be a somewhat more relaxed event, but make no mistake there are lots of people. There are few crowds and often no wait at many booths manned by the local establishments. As the day wears on lines get noticeably shorter, even at the more popular ones, although many also run out of their special offerings. While the event officially ends at 5pm pouring at some booths continues until 6pm. After everyone officially closed up our little group wandered to the German bierhall and outdoor music venue at the University of Wisconsin’s student center. We had discovered the place a few days earlier in an attempt to escape the crowds and it proved a wonderful choice yet again. 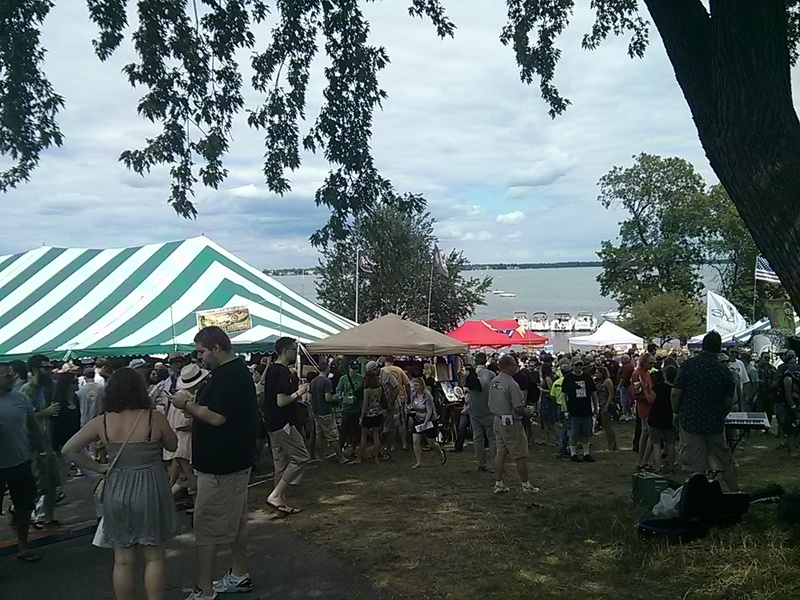 With three bars serving various craft beers including Bells Two Hearted and Ale Asylum IPA we plopped down at a table and watched a band jam in front of the serene lakeside setting. It was a perfect ending and we will be back. This entry was posted in Beery Happenings Beyond, Blogroll, Uncategorized. Bookmark the permalink.